« Leslie Hat Pattern Preview and Viva Las Vegas! 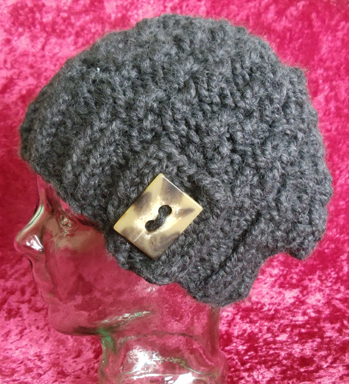 If you’re stylish and chic and want to let everyone know about it, the Leslie Hat’s for you. 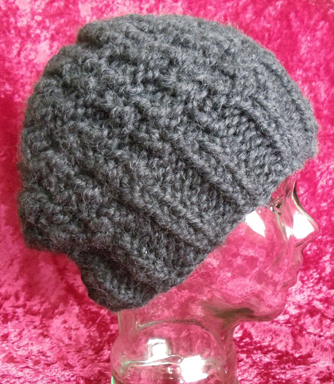 It’s the latest of the super bulky, seamless hat from Little Sweet Knittings Designs. Just as the button was originally used for embellishing a garment, Leslie has a lone accent button to please the eyes. 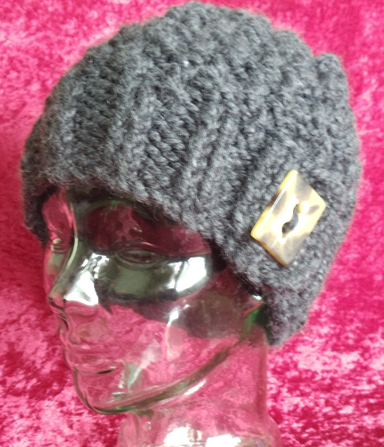 The hat itself is worked in two methods: knit flat to create a flap and finished in the round. It’s overall pattern remains simple in such a way that it complements the button accent. Instructions are written and with charted stitch pattern. US 11 (8 mm)- 16-inch (40 cm) Circular Needle; US 13 (9mm)- 16-inch (40 cm) Circular Needle; US 13 (9 mm) dpns; Or any size to obtain gauge. Knit, purl, knitting through back loop, increasing (make 1), decreasing (knit 2 stitches together), knitting in the round, knitting with dpns and flat knittiing, a little sewing. 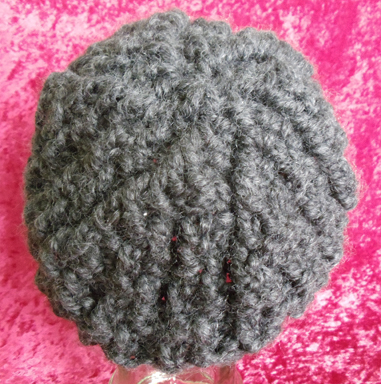 To purchase Leslie Hat pattern in PDF click here or go to the Shop page. And for our readers a special offer, any hat pattern for free– *with the purchase of $7 or more from our shop. This offer will expire on January 7, 2011, so you might want to take advantage of this limited time offer. This entry was posted on January 1, 2011, 12:34 am and is filed under Free Patterns, Patterns. You can follow any responses to this entry through RSS 2.0. You can leave a response, or trackback from your own site.